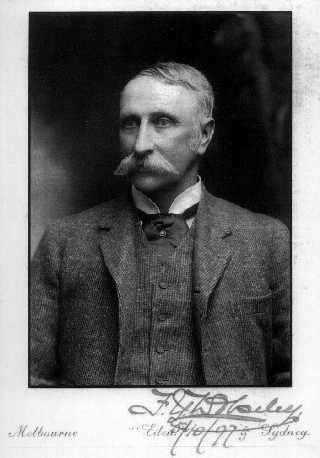 Frederick York Wolseley (1837 – 1899) was working in a Sheep shearing company in Australia. Wolseley invented a mechanical shearing machine powered by a gasoline engine and in 1887 formed the companyWolseley Sheep Shearing Machine co, in Australia. 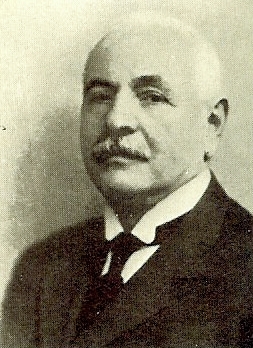 He hired Herbert Austin as the chief of manufacturing in his company. In 1893 , Wolseley moved his company to England. 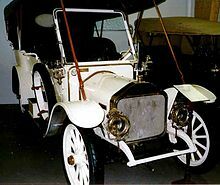 Herbert Austin was more interested in motor cars than sheep shearing machines and in 1896 made the first Wolseley motor car – a three-wheeled motor car. 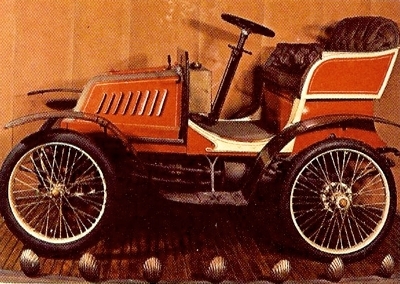 In 1897 , he made the second Wolsely car, named Wolsely Autocar No 1. While he demonstrated the ability manufacture cars, these early versions were not very successful. In 1900, Herbert Austin created the first four-wheeled Wolseley car and in 1901 , the company Wolseley Tool & Motor Co was formed. 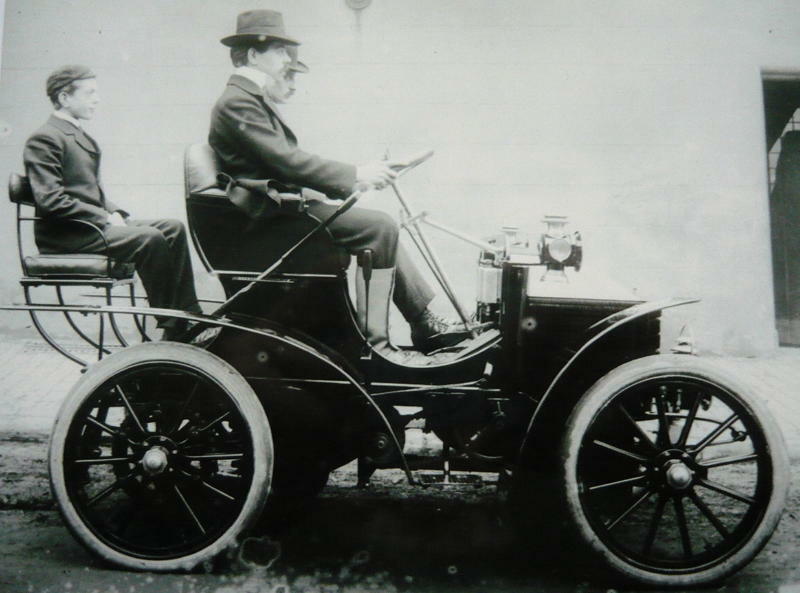 After the death of Frederick Wolseley , Herbert Austin had frequent difference of opinion with the company directors and left Wolseley to form his own company – Austin Motors, in the year 1905. 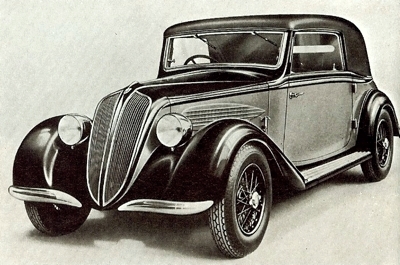 In 1905 , Wolsely and Siddley Auto car company joined together to make cars underWolseley – Siddley brand. A Wolsely – Siddley tourer. 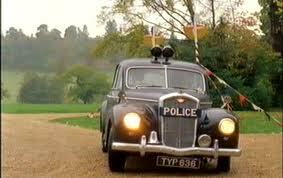 Some of the famous Wolseley models were Wolseley 25 and theWolseley 6/80, a British Police car. In 1914, the company was renamed as Wolseley Motor Co. In 1918 , Wolseley enters Japan through a joint venture with Ishikawa Ship Building & Engineering co to manufacture and sell Wolseley cars. This compnay , in 1949, becomes Isuzu Motors. 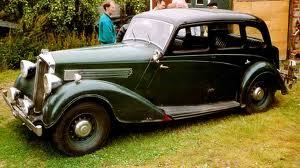 In 1927 , Wolseley was acquired by Morris Motor co under the Nuffield organisation. In 1952 Nuffield organisation acquires Austin Motors and is renamed as British Motor Corporation (BMC). In 1956 , BMC is renamed as British Motor Holdings (BMH). In 1969 BMH and Leyland Motor Corporation joins to form the British Leyland. 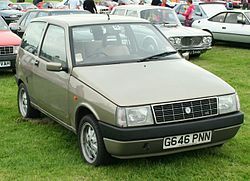 In 1986, British Leyalnad was renamed as the Rover group and later MG Rover. In 1975 , the Wolseley brand was discontinued. Currently the Wolseley brand is with SAIC(Shanghai Automotive Industry Corporation) , China which acquired MG Rover group. Edoardo Bianchi (1865 – 1946) – an Italian, started designing and manufacture of bi-cycles in the year 1885. Bianchi was the first to introduce same size tyres in the front and rear and in 1889 introduced Dunlop pneumatic tyres. In 1895 , he was called on to supply bicycle and train Queen Margharita on bi-cycle riding . This resulted in Bianchi designing the first “Ladies Bi-cylcle”. Bianchi is to be pronounced as bee-ahn-kee. 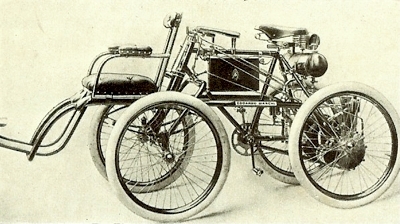 In 1897, Bianchi expanded in to manufacture of Motorcycles and in 1898 designed the first Motor car. 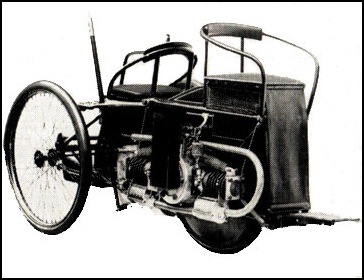 The first motor car named Bianchina was 2 bi-cycles welded together with a De-dion engine mounted in between , driving the rear wheels. The last of the Autobianchi cars were produced in 1995. ELECTROBAT – WORLD’S FIRST ELECTRIC CAR ? 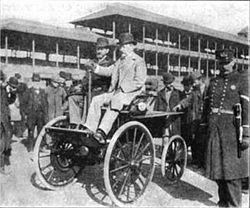 Mechanical Engineer Henry G Morris and Chemist Pedro G Salom (in pic) created the world’s first successful electric car, in 1894. In 1896 , they founded the Electric Carriage and Wagon Company to manufacture and supply electric cars for the New York Taxi so as to replace all the horse-drawn taxis of that time. In 1899, sensing possible success of electric mobility over Gasoline and Steam, Isaac L Rice of Electric Storage Battery Company bought over the Electric Carriage and Wagon company and renamed the merged entity as Electric Vehicle Company. The EVC sold about hundred vehicles to the New York Taxi fleet. This attracted the attention of few businessmen who sensed an opportunity to monopolize the electric car business and acquired Electric vehicle company and merged it with Albert Pope‘s Columbia Automobile Company to form Columbia and Electric Vehicle Company (later renamed back as Electric Vehicle Company). To further strengthen their position , in 1901 , they acquired Riker Electric Motor Vehicle Company. They sold about 2000 electric cabs. During this period , the electric , steam and gasoline cars sold one-third each and from then on steam cars and electric cars started losing traction, the former due to complexity and latter due to battery/range/weight related concerns. To shore up for the future , the Electric Vehicle company had bought the famous Selden Patent in 1899 , which requires all Gasoline engined automobile manufacturers to pay a royalty of 1.25% (later 0.8%) to EVC. As the revenues from electric cars started to dwindle, the revenues from royalties helped them. However, the Selden patent was challenged by Henry Ford and Thomas Jeffery which led to its overthrow in 1911 after a protracted legal battle. The Electric Vehicle Company became part of United States Motor Company by 1910, which ultimately evolved in to Chrysler.